Transparent Metal In ESD Shielding Bag up to six times and then discard. 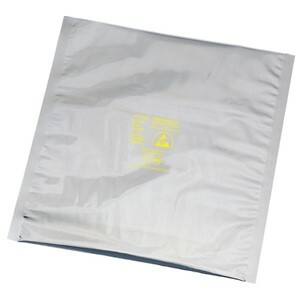 bags are packaged 100 per package in an oversized shielding bag rather than a cardboard box. Therefore, our bags are not exposed to water vapors that will degrade the metallized shielding layer. Our bags have an additional layer of barrier protection because of our packaging.